The campaign ended today with a bang. 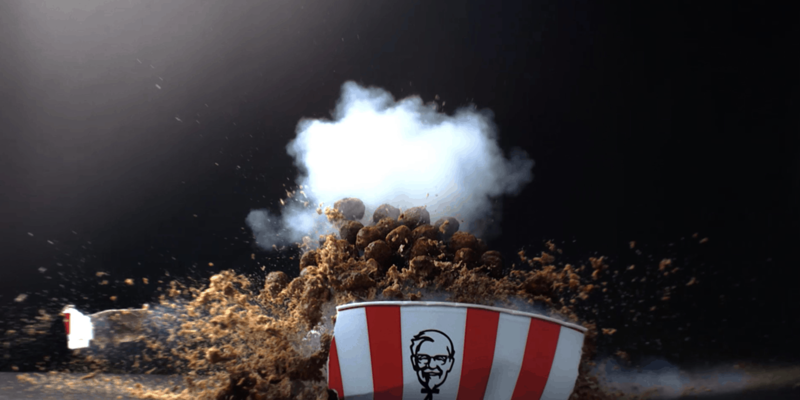 For Valentine’s Day, KFC sparked a lover’s quarrel with its chicken-lovin’ fan base in France through social posts that announced the addition of a “Beef Bucket” to the restaurant’s menu. Those meatballs were fake, by the way. No highly processed, scrumptiously seasoned animals were blown up in the making of this film. Céline Mornet-Landa and Clément Mornet-Landa, a husband-wife team who serve as creative directors at Sid Lee Paris, helped cook up the beef bucket ruse. The effort generated thousands of retweets and almost 10,000 Facebook comments in less than a week—all big numbers, we’re told, for a viral push in France.